OP-ED: After Abdullah: Can Saudi Arabia Reform Before It Is Too Late? Treading water is not an option. Saudi Arabia is one of the more dynamic societies in the world, beset with rapid population growth and severe class, sectarian and regional tensions. Apparently, the new half-brother is in exactly the same mold as his departed, so I don't think we should expect anything startling to come out of this, much to the rest of our hope. Same ancient customs. The richest oppress the poor. Right? nothing is going to change and since obama bows to them they have no reason to change anything. they are not our friends no matter what obama says. they are just as bad as isis to their own people. we need to stop supporting them along with the other muslim countries. time to practice what we preach about rights. of course ours are being taken away super fast under obama and his fools. they would rather give us away to illegals and muslims. 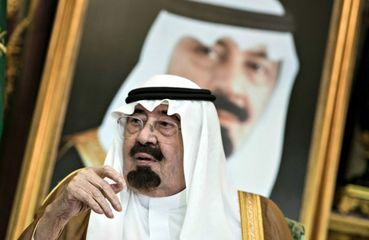 I think Saudi Arabia make no reforms. Wish the House of Saud, and every other theocracy would make like dinosaurs and go extinct! Thanks, Cal.